Home » Health » Oral Healthcare » Tooth Extraction During Pregnancy – Is this Safe? Tooth extraction is a surgical procedure and usually, it is avoided in case of pregnancy. The extraction of a tooth may cause pain to the expectant mother, thereby increasing stress level. The increased stress during pregnancy is proven to be harmful to growing fetus. However, sometimes the tooth extraction procedure becomes unavoidable. If a dental emergency arises during pregnancy, then the second trimester of pregnancy is considered the best time for performing surgical procedures. 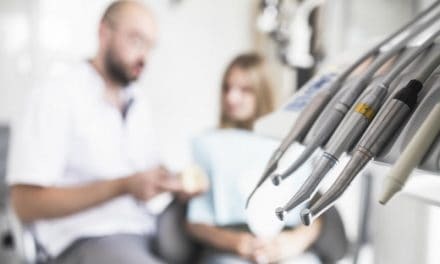 Dental emergencies include certain situations such as the spread of infection from the decayed tooth, severe pain in a tooth, gingival inflammation and pain due to the wisdom tooth. Tooth extraction during the first or third-trimester might do harm to the baby. In this article, we will have a complete review of the safety of tooth extraction during pregnancy. When you cannot delay tooth extraction? The primary dental check-up, cleaning, etc. are some conservative dental procedures which can be performed during pregnancy. But surgical procedures such as tooth extraction should be avoided as much as possible until the time of delivery. Tooth decay, leading to severe pain. Tooth decay, leading to the spread of infection. Unbearable pain due to the wisdom tooth. These dental emergencies cannot wait and needs immediate treatment. You must visit a dentist immediately. Your dentist will plan the treatment based on the severity of the condition and pregnancy trimester. A dentist does not perform tooth extraction during pregnancy until it is an emergency. In case you need one, you must know when the right time is to perform the tooth extraction during pregnancy. The first trimester of pregnancy is the most crucial time as it is the period of organ formation and development of a baby. This the span of first twelve weeks of pregnancy. During this phase, dental procedures should be avoided. To avoid any dental emergencies, you must take proper oral care. Also, no drugs are prescribed during this phase. The second trimester of pregnancy is considered as the safest period to perform dental procedures as during this trimester the organ development of the baby is supposed to have accomplished. During the dental procedure, a patient may land up in complication such as syncope or postural hypotension. But it is nothing dangerous and can be managed well by the dentist by simply making the postural changes such as turning the patient on the left to alleviate pressure in case of syncope or elevating the hip of the patient about 10-12cm in case of postural hypotension. In the third trimester of pregnancy, it becomes difficult for the patient to sit for a longer time in the recline position. Also, the procedural pain increases the stress level of the expectant mother, and this may sometime cause premature birth. Dental extractions should be avoided in the third trimester. In the third trimester, your dentist may advise you to wait until delivery. Extraction of tooth involves a series of steps such as x-ray examination of the tooth, selection of local anesthesia, tooth extraction, and medication prescription. That is why you have to be careful at various checkpoints. X-ray is a must before extraction of the tooth. Though radiation is hazardous in pregnancy, dental x-ray in pregnancy is safe because of least exposure of radiation. Also, the precautions, like lead apron covering the abdomen and thyroid, must be taken to minimize the exposure. X-rays with appropriate shielding are considered safe during pregnancy. Anesthetics, such as Lidocaine and Novocaine, are used during tooth extraction procedure of pregnant women. These anesthetic agents are of category B which is the safest form of anesthetic agent used during pregnancy. For the post-procedural pain, opioid analgesics, like hydrocodone and codeine, are prescribed. How can you avoid the need for tooth extraction during pregnancy? Regular dental visit during pregnancy for primary checkup and cleaning. 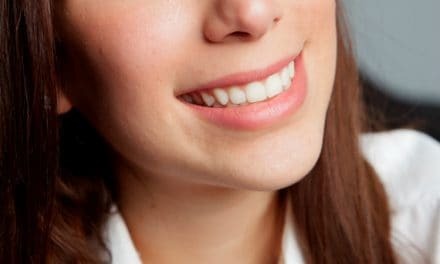 Avoid plaque accumulation by practicing proper brushing technique. Brushing twice a day is advised. Use fluoride-containing toothpaste to avoid the chance of dental caries. Use the brush with soft bristle to avoid irritation to gums. Do not use the mouthwash which contains alcohol. Reduce consumption of sweet food items to avoid swelling and inflammation of gum. Hormonal imbalance during pregnancy can cause gum problems. Therefore, prevention and proper oral hygiene should be exercised to avoid dental emergencies. Generally, tooth extraction during pregnancy should be avoided. All the attempts must be made to restore the tooth before recommending the extraction. However, if there any dental emergencies, then tooth extraction could be done in the second trimester of pregnancy. Tooth extraction procedure is not safe in the first and third trimester of pregnancy as it may harm the fetus. Precautions such as proper maintenance of oral hygiene, regular dental visits, flossing should be taken to minimize the chance of dental emergencies. Also, you must take procedural and post-procedural safety measures.